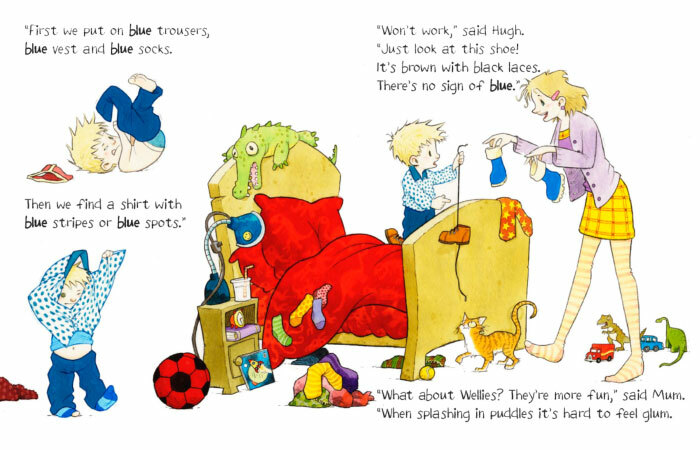 Have you ever eaten blue eggs or cleaned your teeth with blue toothpaste or travelled on the top of a blue double-decker bus? Hugh has and all in one day. It's part of Mum's plan to cheer him up. 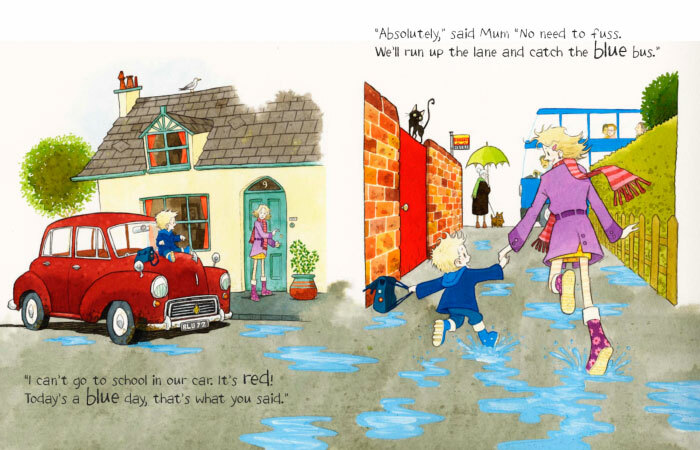 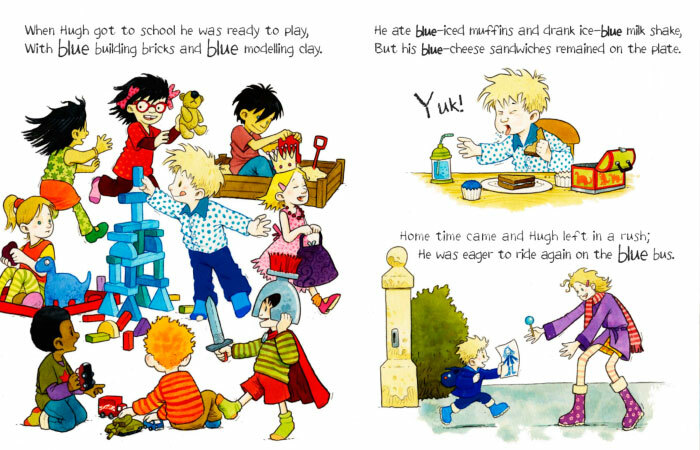 Join Hugh and his Mum as they turn the whole day blue. And, if you want to have fun, why don't you try a 'blue day' too?